Finding an apartment in San Diego has never been easy. Now, it’s getting even harder. According to a report released this Tuesday by the San Diego County Apartment Association, the availability of apartments in San Diego is currently at 12-year low. As of this week, the county’s vacancy rate has fallen to 2.8 percent. If you’re looking for a place to rent, that means that only 2.8 percent of all apartment units in the county would be available. This time last year, the vacancy rate was 4.5 percent, which is around the historic average. 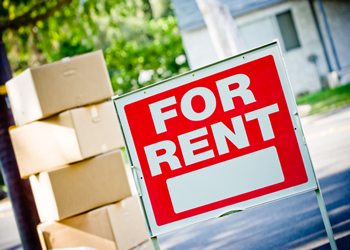 In their report, the Apartment Association also found that there has been an increase in rental property ownership – more people are buying single-family homes in order to rent them out. However, despite the increased permitting and construction of apartment units, which is up significantly, demand for rentals still outpaces the current supply. Even with the lower availability of apartments, the average rent in San Diego still fell to $1,260. That’s down from $1,330 a year ago. 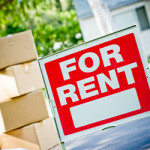 According to the data, the average rent for an apartment was $901 for a studio, $1,092 for a one-bedroom, $1,347 for a two-bedroom, and $1,716 for a three-bedroom. One of downtown San Diego’s last remaining historic buildings is scheduled to be converted into apartments over the next few years. The 14-story office building at 625 Broadway, which was developed in 1926 by San Diego philanthropist and developer John D. Spreckels, was sold Monday to Hammer Ventures for over $50 million. If you need help finding an apartment, feel free to give us a call at 619-GREATER (473-2837). Or, visit us at greatergoodrealty.com and check out our rental database.